After all the stuff about the new book and soldiers and muskets, I thought I would show you a bit more of what I do when I’m not writing. My husband says I was probably attracted to quilting because of the toys…so many things with sharp blades and steely points where always going to be right up my street. I wish I could say my skills are up to her standards, but I did my best and I was not displeased with what I produced. Here is my version of Tulips. A surprising announcement perhaps for a writer like me, but there you go, I really believe and I need to do something in between conjuring up stories about…okay let’s skip my weird writing ways and talk quilts. A hand made quilt starts with the pleasure of picking fabrics. Either you raid your stash or, after a five second struggle with your conscience, a trip to your local fabric shop. I love this bit, the feel of cloth under my fingers and the colours and the designs. Then there is laying out what you have chosen on the work table and deciding just what you are going to make. Sensible quilters obviously start with a pattern in mind and fit fabric to that, I on the other hand, have no resolution and no moral fibre, can be seduced by fabric and then need to find a pattern to fit what my fancy has found. Then, of course, I have to go and buy more fabric to match what I have just bought in order to have enough to do what I have now come up with. Now comes the beginning and the pleasure of the rotary cutter slicing through cloth and a buzz of the sewing machine as you piece. And once the top is finished, there is quilting to be done. I love all of it (except perhaps the basting, but I don’t know a quilter who loves basting), but once the quilt is made, it is time to spread the love. We all start making quilts for those who are nearest to us, our family and friends, but very soon that isn’t enough and quilters start looking further afield and they begin to make quilts for people beyond their immediate circle. They make them for strangers who need a little love. I know people who make quilts for wounded soldiers and for victims of disaster and violence, people they will never know, but for whom they send their skill and their love. They make them for teenagers who have been shown the door and who now have nothing. They make them with lots of textures and accessories and trimmings for those suffering with dementia as touch therapy. And we make little quilts, 16 inches by 20 inches for the Neonatal Intensive Care Unit at our local hospital. Tiny quilts for tiny babies made with love and given with our love. 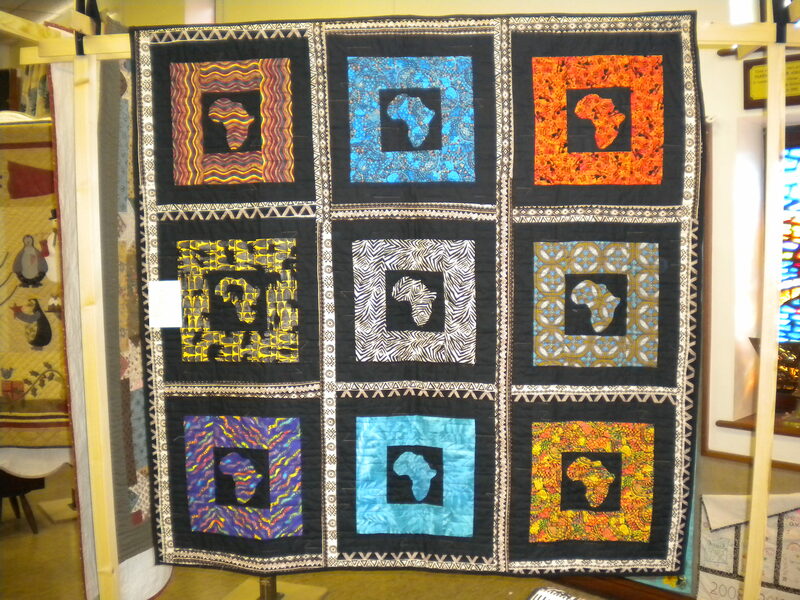 Here is one I made for my godmother who lived and worked in Africa. Made with love for someone I loved. 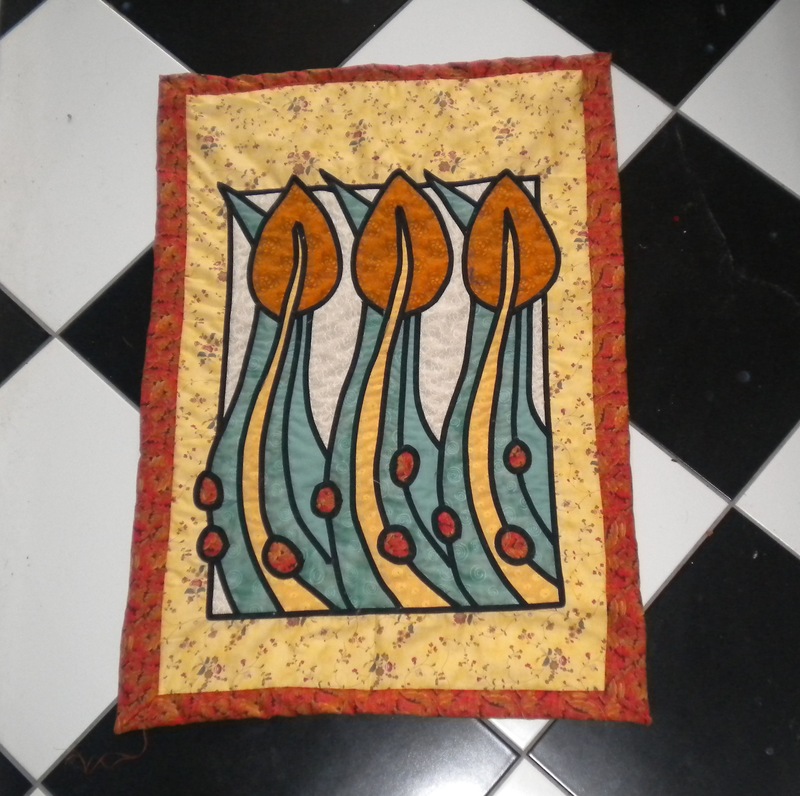 When I’m not writing or cooking or pretending to do housework, I make quilts. Unfortunately quilt making is highly addictive and comes with the additional hazard of fabric buying. My name is Bev, I’m a fabricoholic. It’s less than a week since I last bought fabric. Wasn’t that just about the nicest thing anyone could say about a collection of weird stories? I was chuffed to bits. I really liked the “oozy” part. Back to quilting. apart from the sewing part, it is a bit like story writing, you take a lot of not necessarily harmonious parts, cut them about a bit and then try and make something whole out of it. I would have liked to say “perfect” there, but I am an “oh-sod-it-that-will-do” quilter. I try very hard not to be an “oh-sod-it-that-will-do” writer. Anyway, bear with me, I will get the anthology back up and I will publish “The Tattooed Tribes” for 6th March. And, if all goes according to plan ( stop laughing at the back), I will bring you my new novel “The Lord of the Faran Hills” sometime in April. 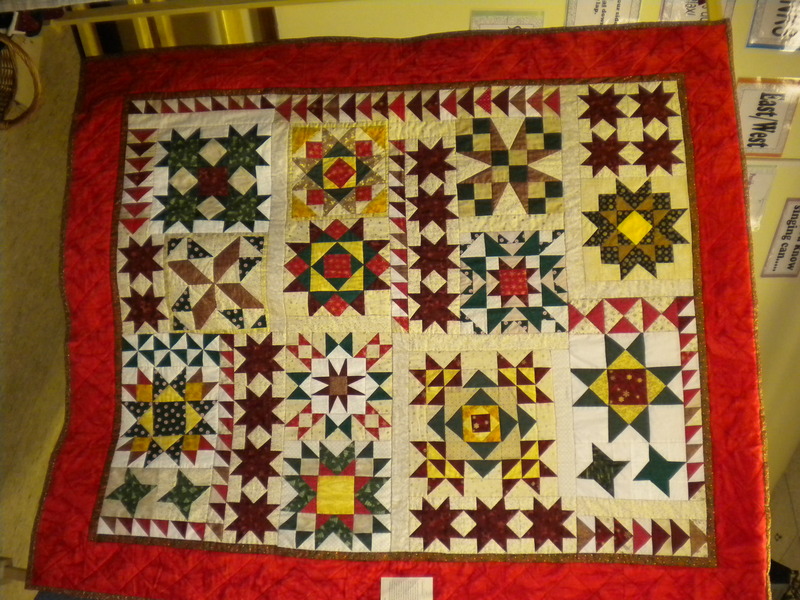 In the meantime, here’s a quilt I made earlier.